Award-winning "Black Panther" Cover Artist available for 2019 Bookings! 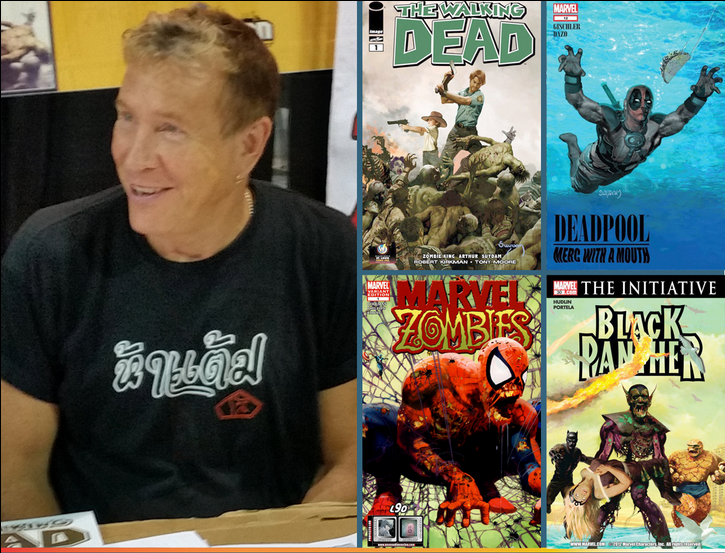 If you are looking to tie into the Oscar Buzz, and put together a “Black Panther” contingent for your show this year, we have some availability left to book our own award-winning artist Arthur Suydam for your event! Well-known for his “Black Panther” covers, Arthur’s work has graced the frontage of scores of pop-culture heavy hitters, with everything from Walking Dead, to “Deadpool: Merc with a Mouth,” to “Batman Vs. Predator,” to the ever popular and ground-breaking “Marvel Zombies.” And More. Here are just a few of Suydam's credits! To celebrate and promote any shows during the 2019 season, Arthur is extending his popular “Free Sketches for Kids on Sunday” for any events this year. Suydam is open as always to being part of your press and promotional pushes as well. So add some award's gold to your own red carpet this year, as we celebrate a groundbreaking 2019!